Besides the name “George Lucas,” the biggest omission from the announcement of a fifth Indiana Jones film was the writer. 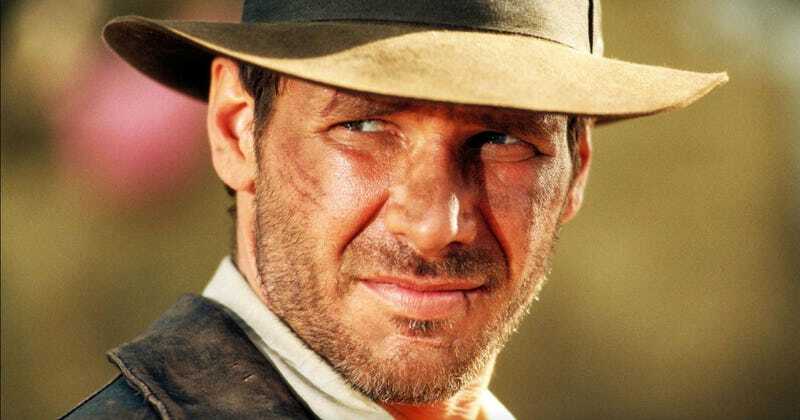 It didn’t take long for director Steven Spielberg to land on someone: David Koepp, who wrote Kingdom of the Crystal Skull, will be responsible for bringing Indy back one more time. The Hollywood Reporter broke the news. Though Koepp wrote Crystal Skull, don’t hold that against him too much—he also wrote Jurassic Park, Mission: Impossible, the first Spider-Man, and many more. There are some clunkers on his resume to be sure, but a familiarity with the character and the director (he also wrote Jurassic Park: The Lost World and War of the Worlds for Spielberg) obviously made him a prime candidate. What will be interesting to find out in the coming months and years is where the idea for this fifth installment came from. In the past, George Lucas would cook up an idea and Spielberg would run with it, but Lucas sold the rights to the character in 2012. You’d have to guess that wherever we see Indiana Jones go on his latest adventure, the concept came from someone else. Indiana Jones 5 will be whipping into theaters July 19, 2019.